This Trail package Discovery has been well maintained and it runs and drives great. It is very clean both inside and out and it is equipped with all factory installed extras such as front grill guard and Auxiliary fog lamps, rear tail lights protection shields, rear step lather, roof rack and more. This low mileage SUV has never been in an accident and it comes with a clean Car Fax history report. 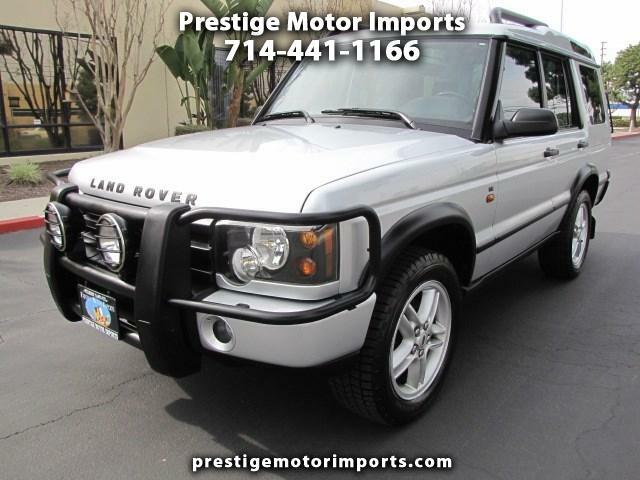 Please give us a call to schedule an appointment to see and test drive this Trail Package Land Rover Discovery SE. Thanks.